So finally after waiting for five months it looks like winter is on its way! Not that I don’t enjoy the sun but y'all know that winter is where it’s at. Temperatures have been steadily dropping over the last week or so, and we have finally had some rain to keep all those farmers happy (well as happy as they can be - probably the wrong sort of rain). We can happily report that Treble Cone and Cardrona have both had a good sprinkling of snow over the last couple of nights...happy days! We have been pretty busy over the last few weeks dealing with enquires and bookings (some weeks are already SOLD OUT and it’s only March). So it looks like this year in New Zealand the tours are going to be rockin’. Don’t worry if you haven’t booked yet, we still have plenty of dates available so round up your mates and flick us an email. Are you a specialised snow tour company? Yip! Snow tours in the Southern Alps is what we do, and it is ALL that we do. We think this makes us kinda special as it means that we can focus on giving you the best snow holiday in New Zealand. Do you offer a pick up from either Queenstown or Christchurch?. We can pick you up and drop you off from either Queenstown or Christchurch airport or a nearby hotel if you prefer. What sort of accommodation do you offer? 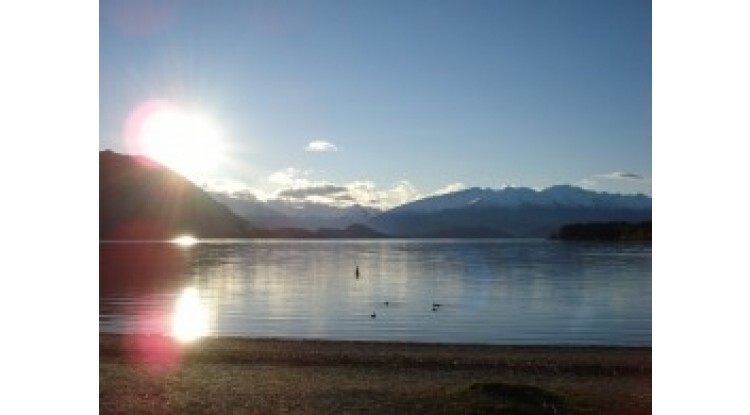 We have lovely lodges located in both Wanaka and Craigieburn. They are both brand new and modern which means ultra warm and comfortable! With plenty of room to spread out in and spectacular views from all the rooms they are the perfect place to spend your winter holiday. Will I be stuck in a dorm and do I need to pay more for a private/twin share room? How many people do you normally have in your groups? The MAXIMUM number in our groups is seven - meaning we can offer you top, personalised service both on and off the snow. We want your holiday to be memorable, and to us this means meeting an awesome group of people, getting out on the snow, and having a blast! Are the guides people who are committed to me, or do they just want shred the gnar leaving me gasping in their wake? Well kinda both!! Of course our guides love to have fun too, but our ultimate aim is to make your ski holiday an enjoyable experience. If this means cruising the groomers and helping you out with some pointers for a few hours, or ripping it up on a powder day we can fit in whatever you fancy. Yep we can organise lessons for you. We know some fantastic instructors in ski schools around Wanaka and Queenstown that we can hook you up with if you want some one on one tuition, or we can set you up with group lessons for great value for money. Maybe Not!! Do I need pants? Er probably, it gets a little cold up there! So that gives you a small idea of what we do!Â We are always happy to answer any questions you have.Â Â So if you were thinking 'I wonder if they could do that? '...then drop us a line, it won’t hurt to ask! PS. Big congrats to Adam Hall for his gold in Vancouver, flipping fantastic. Shelly Gotlieb for her 2nd place in the Burton Open Slopestyle Final. Won’t mention the cricket though!